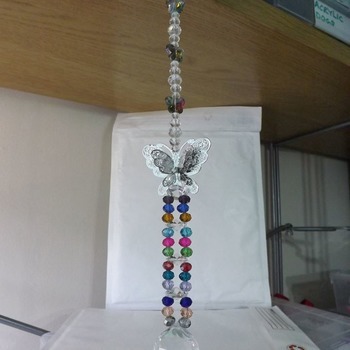 Angel sun catcher hand crafted by me from crystals. 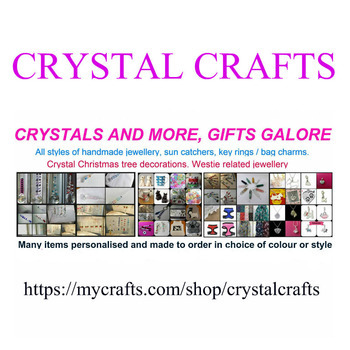 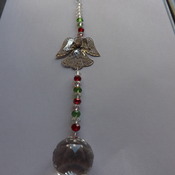 This one can be used as a sun catcher or even a Christmas decoration as it would still sparkle under the lights. 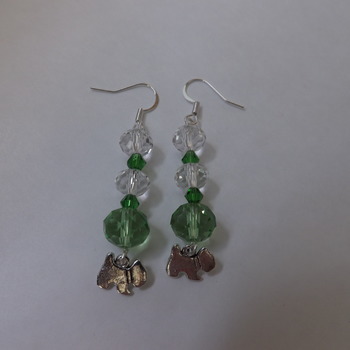 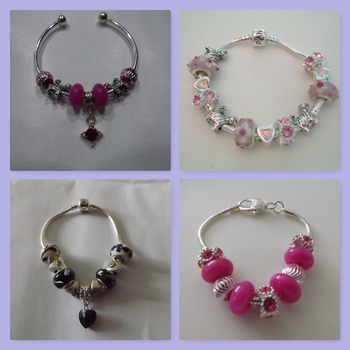 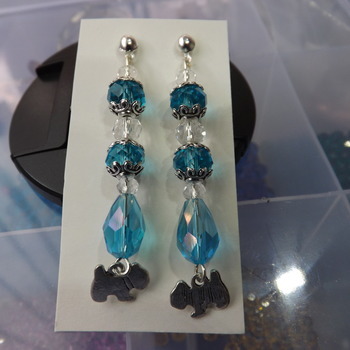 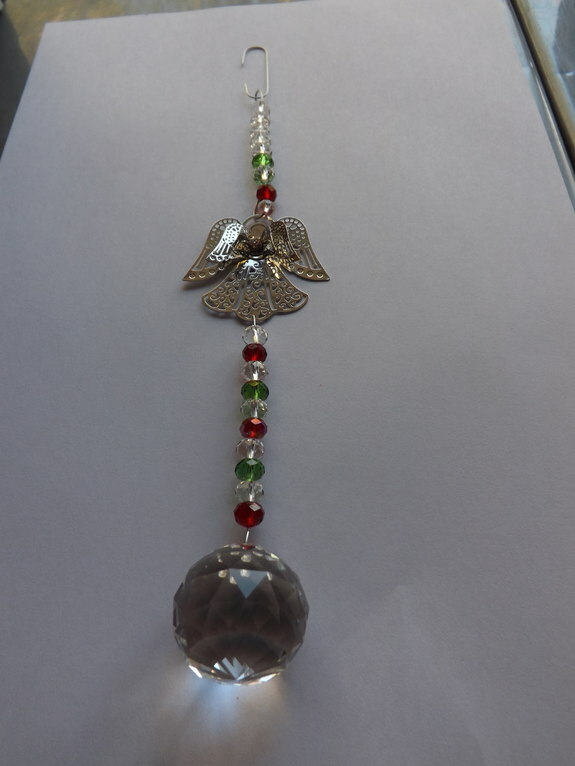 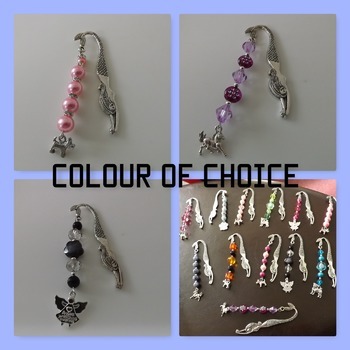 Can be made in any length or colours of your choice and with or without the angel.